Did I get you on that one? The topic of the day is…Graphic T-shirts and sweaters and what to do with them. Happy Thursday! Is everyone properly caffeinated? I know I am. I used to drink Mocha/Toasted Almond Iced Coffee from Dunkin Donuts but recently switched to Mocha Caramel. Yum! Dunkin Donuts should honestly sponsor this blog since they are what fuels it. Haha! But I hope everyone has had a lovely week this week! Preston loved all of your comments and hopes he’ll make it back on the blog again! But….Here’s the big change. Many of the lovely groups for Plus Positive or Plus Size BST have recently made rules against allowing bloggers to promote their blog on those pages. And just for the record – that totally makes sense – I don’t like ads in the middle of my shopping either and all of the ladies who made the shift were super nice, respectful, and attentive about making me aware of the change! So thank you Admins for being so great about it! However, that means I’m out about 35% of my regular viewers. So I am hoping that anyone who has found this page fun or loved my insta posts or just loves Curves, Curls, & Coffee – I now have a Facebook page just for the blog that you can follow. This is the link to said page. So follow it, share it in plus positive groups that are allowed or on your personal pages! That would be wonderful! So follow me on Facebook & Insta for more posts. Click here for the link to my Instagram and here for the link to my new Facebook page! I’m thinking perhaps to get new Facebook membership up – perhaps a giveaway? Thoughts, ladies? The main topic for today is about to get graphic. Graphic T’s that is! Ha! Did I get you? I looooooove this outfit. Old Navy bicycle shirt, Torrid pleated skirt, and thrift store polka dot cardigan. 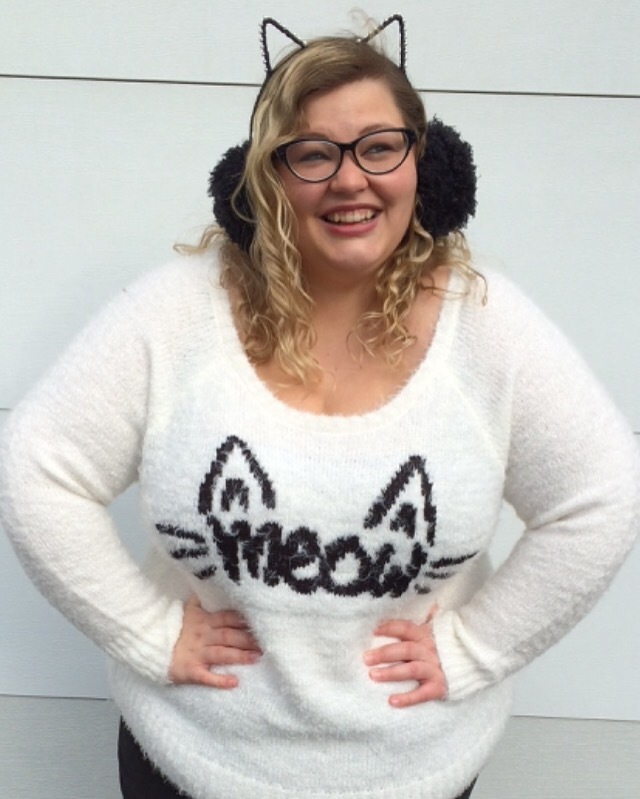 So comfy, cutesy, and versatile! But I put out some feelers to some of my faithful readers & friends and asked what you wanted to see today. For the most part – of the ideas I threw around – what to do with a graphic T was definitely number one. So here on my thoughts on what to do with graphic T’s. Let me first define what I mean as a graphic tee. A graphic tee is a picture with ONE image on it. One singular image or phrase. Not to be confused with novelty print, which is a pattern printed over the entire piece. For example, my soft blush bicycle tee under here is a graphic tee. It has ONE image of a bike on it. My unicorn shirt however is novelty print because the entire shirt has a small print of unicorns on it. So now that that is cleared up – lemme move on here. And this post is also going to be discussing sweaters with a singular image on them as well. Never do the crew neck. I shouldn’t say never. It is REALLY difficult to dress up a crew neck, cotton, graphic tee. Or at least, I have difficulty doing it. I tend to favor towards a high scoop neck, v-neck, lower scoop neck, vintage and heathered, faded, etc. Even when I was ordering T-shirts for my college theatre club – I elected to do the V-neck shirt. Having some sort of shape of a fitted vintage graphic T or the lower scoop to show off your neck and make you look longer and leaner makes a world of difference. The old traditional crew neck t’s are made to be unisex so they are by nature more masculine. The only time I wear crew neck tees is…approximately never. Okay, I lied. I have like…2ish that I wear. One from the March of Dimes and one from KU. But I wear them to the gym or dance rehearsal. I even wear scoop neck shirts to bed. If you can show off your shape – you always should. When I was younger – I used to cut the neck out of all my shirts so they would be more feminine. Just to widen the neck and shorten the sleeves. It definitely made me feel more confident with a more feminine shape. Throw them on with a blazer, or a skirt, or a cardigan. I usually do some combo of those three things. Here’s my pro and con thoughts of each. Pro: It can add a professional twist and really emphasize the graphic. The button on women’s blazers also can help define a shape and take the tee from plain to put together. Con: If the shirt is not work appropriate without the jacket and you work in an office like mine that switches between an Arctic Tundra & the Sahara every few hours or if you are in college and have to change temperatures a lot – this may not be your best option. Pro: It can be fun and flirty and fancy and definitely make the shirt more business casual or casual Friday appropriate or even date worthy. It definitely dresses it up. Con: If the t-shirt is too long – it can make your shape look a little two tone blocky. And that’s not really good either. You have to pick a length and skirt style to make it go together. Pro: You can add a pop of color, a smidge of print, keep you warm, make you a little more professional looking, and cover up any exposed shoulders. Con: There are no cons to cardigans. Your life goals should be life, liberty, and the pursuit of cardigans. I love skirts & graphics. Add a pop of color, jewelry, hair accessory, or a fun purse! You know my philosophy. The higher the quirk – the closer to Jesus. No. Wait. I don’t say that. No one says that. The quirkier the girl – the closer to having Zooey DeSchanel’s closet we get? Better but not quite. Work the Quirk. THERE WE GO! Now…That is a life philosophy I can get behind. Work the quirk. I snagged this authentic 1964 Barbie Doll carrying case for $15. What a steal! 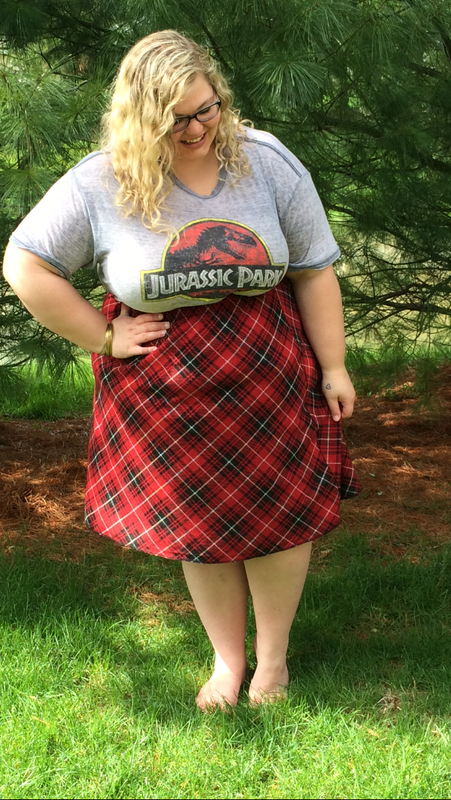 I paired this funky umbrella print top with a skirt, a hairbow, and…a black umbrella! Add a graphic to a coordinate with a fun print! I love mixing graphics with plaid and polka dots and stripes. I am particularly fond of plaid. I love to match the plaid with the print and make it a little more vintage-esque It definitely adds that retro flair that I will forever be trying to master! I wore this outfit to a mall around Christmas time and like 7 or 8 people stopped me to tell me how much they loved the outfit. It was a great day! A Walmart sweater & Modcloth skirt mix perfectly to give me a sweet blue-sy outfit. Sometimes the not as dress-upable graphics are best just to keep it casual. I wear my old college show shirts to rehearsal. I wear the kind of lame, outdated, slouchy graphic t-shirts to paint sets, to go to the gym, wear for a casual day at the grocery store. Now, as much as I would love to pretend I wear petticoats and skirts when I have the day off and go through the drive-thru to get coffee – I just…don’t do that. I throw on leggings and a scoop neck top and you are lucky if a bra makes it somewhere in there. 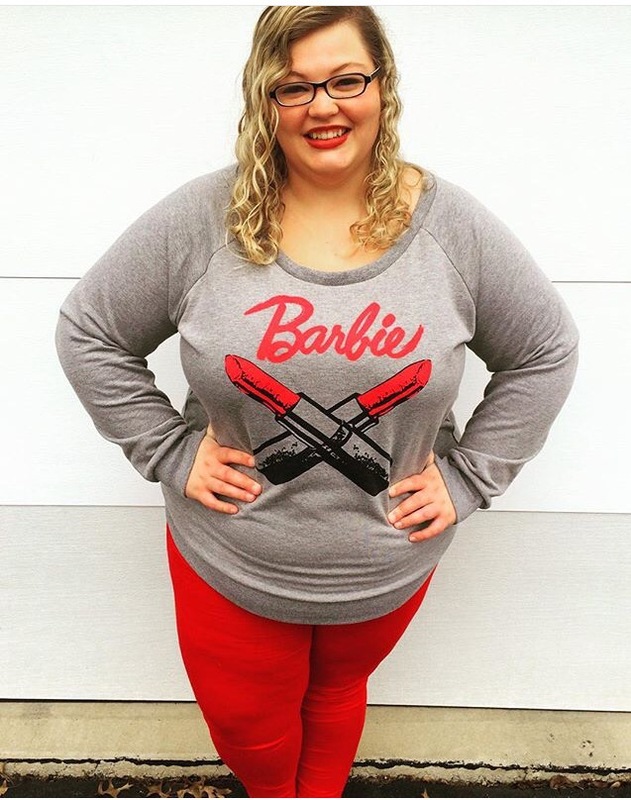 So, don’t be afraid on casual days to just throw on leggings or jeans and just show off whatever the shirt says! So, there you have it. Those are my five topics on what to do with graphic tee’s. I hope you enjoyed the pictures, the tips, tricks, and styles. I love to mix a good polka dot and a good plaid with a Barbie shirt. A Mother’s Reckoning: Living in the Aftermath of Tragedy. 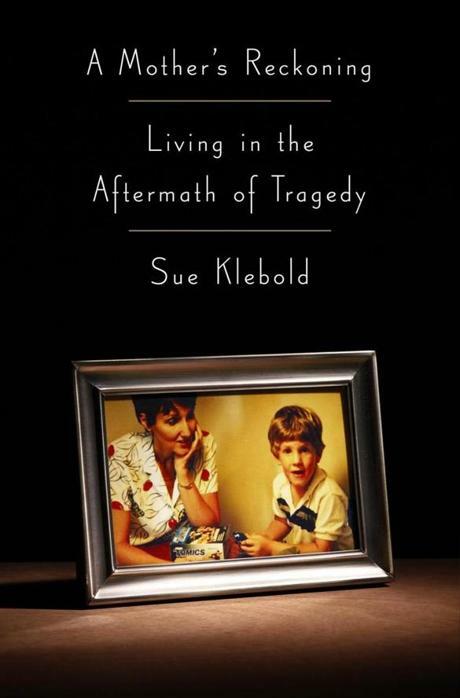 This is Sue Klebold (mother of one of the Columbine shooters, Dylan Klebold) and her memory, grief, pain, and trying to put her life back together after the horrible tragedy that happened at Columbine in 1999. 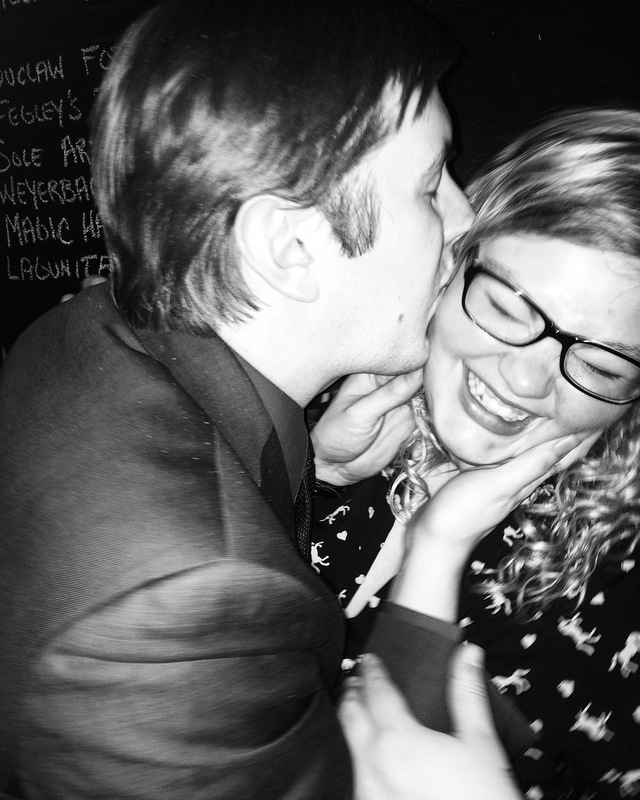 It’s honest, raw, grief-stricken, and powerful. I’m about halfway through and I can’t put it down. At the reader’s own risk: you’re going to cry through the whole thing. No doubt about it. Subscribe for updates! Comment for topics you would like to see me cover! Like to help my self esteem! What topics do you want me to cover next? Top 10 things plus size women are tired of hearing, my summer reading list, how to get a bargain, etc. Those are my next few ideas. Let me know what you want to see next week by leaving a comment on the blog, on my facebook page, or my insta!